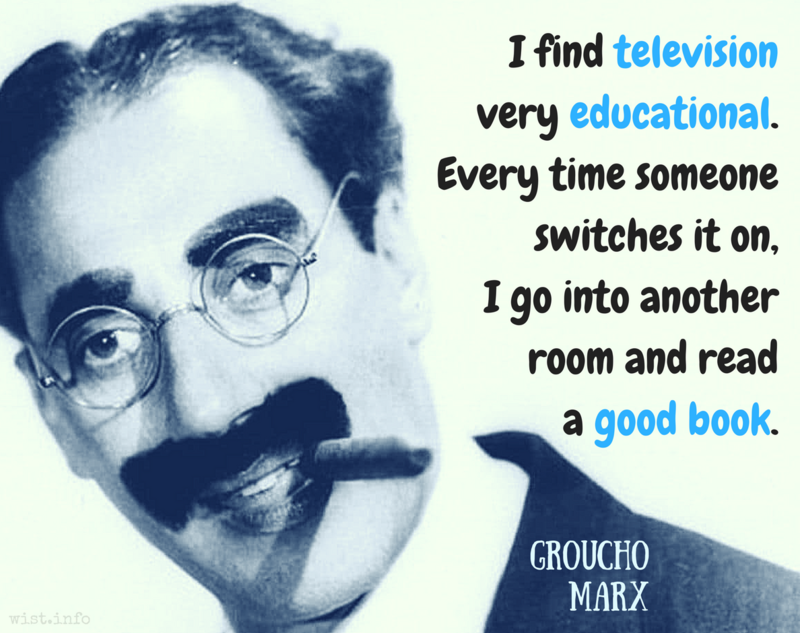 Commonly paraphrased: "I find television very educational. Every time someone switches it on, I go into another room and read a good book." A number of uses of this line by Marx are found around the same time frame, with variant wordings. See here for more discussion. Quoted by Ever Star, "Inside TV," Greensboro Record (3 Nov 1954). Also attributed to Ambrose Bierce, Henry Ward Beecher, and Lawrence J. Peter. More research and discussion here. Groucho (in 1962) denied ever using the phrase (attributed to him as early as 1941). The earliest, somewhat dubious instance of it found is in 1936, attributed to comedian Hugh Hubert. More here.